Sold the old one...This one hauls! 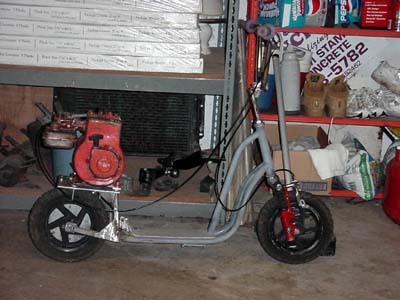 It has a 2horsepower briggs and stratton engine off a big push edger. 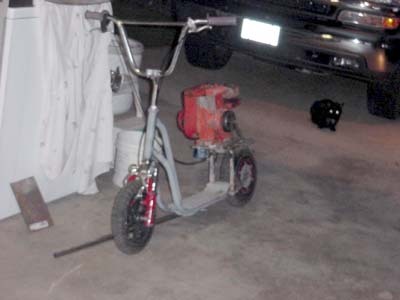 It has a 70 tooth sprocket on the wheel and a max-torqe clutch with 11 teeth. Size 35 chain. I have plans to do a paint and diamond plate deck for it. I think the top speed is around 35 mph with 185 pounds riding it.